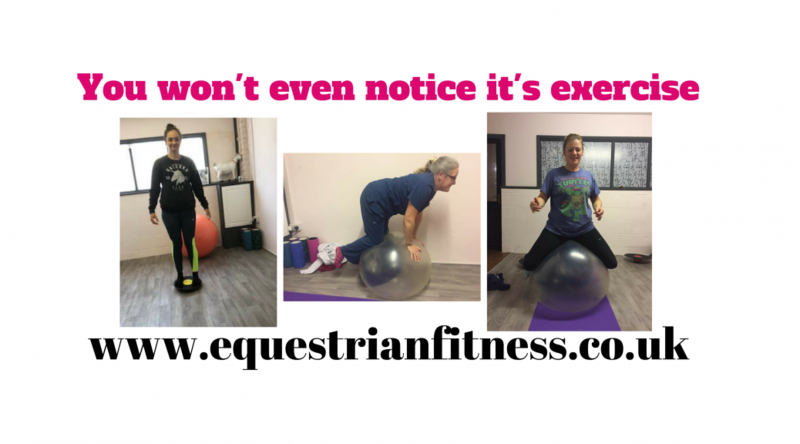 We’ve been talking about Fitness for Equestrians generally for the past couple of weeks in relation to improving your control over your body and how this improves your performance and potentially then your confidence. 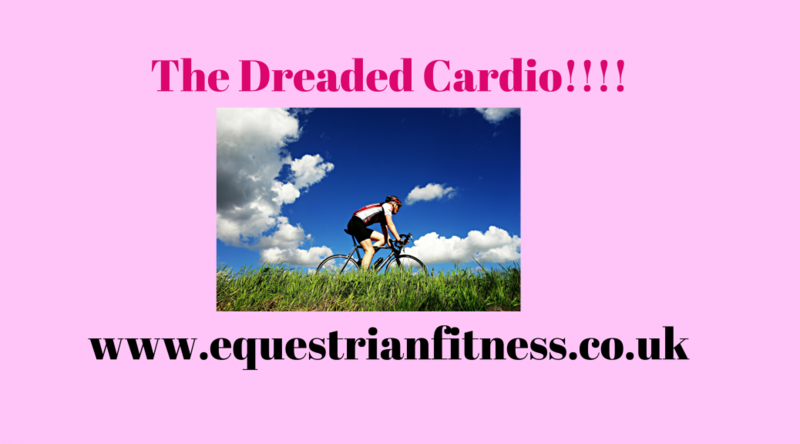 It’s been mentioned but we haven’t properly discussed the dreaded……….cardio!!! I reckon you are either a seasoned runner or you avoid anything heart raising altogether (well maybe not everything…..). The thing is cardio fitness has some great benefits for riders. Not being red faced and out of breath at the end of every round! Better ability to ride consistently well from start to finish in your lessons or schooling sessions -or is it just my instructor that goes all boot Camp! Many of this comes down to your heart being able to pump blood around your body more effectively as your heart will be stronger, and also because you will be more likely to breathe consistently and therefore take in adequate oxygen to power your muscles and brain. There is no need to be scared though as the amount and type of cardio you need to depends very much on your chosen discipline. Although I will explain in a minute how this is not as clear cut but it is a good guideline. Others require short interval fitness. And some disciplines require both. The thing is how you gain that fitness is entirely up to you. When people ask me the best exercise to do to get fit I often answer “the one that you will stick to”. As in reality this is true, you see if I said for example it was running, but you hate running then you might go a couple of times then decide not to bother again because you didn’t enjoy it. However if you really like cycling or going to a dance class then this most likely to have an impact on your fitness because you will actually keep doing it! Now if you want to be disciple specific and you are a show jumper then I am sure you are aware that your round will usually be a fast, short burst of energy and then it’s all done. This would tie in well with interval training as this works on the same principle. Something like Tabata intervals which is 20 secs works 10 secs rest x 8 doing whatever you like whether that be running, rowing or burpees would be a really simple and quick way to up your cardio fitness. However you just bear in mind if you have several horses to compete you may need some endurance in their too, but a few sessions of intervals per week regularly should give you enough gas in the tank to manage. Now the endurance sports I listed can be a little less clear cut, as in reality unless you are doing proper endurance riding some interval training will probably be enough to improve your fitness and therefore performance as you aren’t actually training for a marathon. So dressage, schooling etc. If you would prefer short and sharp then go for it, but if you have a cross country round or aforementioned endurance trek then you are going to have to put some steady miles in too. Again how you do these is entirely up to you. If you like running, off you go, but you could also swim, cycle, row, use the cross trainer -there are pros and cons to all of them so it really is whichever one you will actually do! If you are not a serious competitor and just want to stop being out of breath in your half hour lesson, then some brisk walking with the dog will still go a long way to helping. I will reiterate the message though; the best way to improve your cardio fitness for riding is to pick an activity that raises your heart rate, that you enjoy doing and fits into your life so that you will do it consistently. This week I presented a demo at White Hill Stud. Also speaking was Camilla Henderson –Sports and Performance Consultant. She gave a talk on Rider Sports Psychology-It was really good and if you are interested in that sort of thing you should check her out. Anyway, one of the things she talked about affecting confidence was competence and fitness. This resonated with me on a number of levels. Once of course being that fitness is my business but also because from personal experience. It stands to reason that if you feel weak and wobbly on your horse you are more likely to feel insecure. Also if you feel uncoordinated and not in control of your body this can lead to feeling unsafe. If this is you then improving how your body performs is definitely a good place to start. Fitness for riders can be many things dependant on their particular equestrian discipline and of course their own wants and needs. Flexibility and Mobility. Having a good range of movement from head to foot ensures your body is able to function uninhibited and without restriction. As riders we do not need extreme flexibility like a gymnast, but any areas where you do not have an average range of movement needs addressing even if I’d does not seem to directly affect your riding. This is because we are joined from head to foot via muscles, tendons and fascia and a restriction in the left foot could possibly affect the function of the rider shoulder and vice versa and all its variants. This refers to balance and muscle strength. Again this does not need to be extreme Strongman style strength but good muscular tone enables us to have better control of our bodies reaction to the horse underneath us and enables us to better hold our position without force or tension. This is a fancy way of saying body awareness and co-ordination. If alongside strength you are able to properly control your body and its reactions this will enable you to feel infinitely more in control and therefore safer as a result of it. Cardio fitness essentially refers to your lung capacity and in simple terms your ability to keep going without passing out! In terms of riding the fitter you are the longer you will be better able to breathe and transport oxygen around your body for energy, but also the longer you will have the physical capabilities to keep giving clear aids and remain in control of your body and also keep a clear mind. The level and type of cardio you require will be different depending on your particular discipline. E.g. 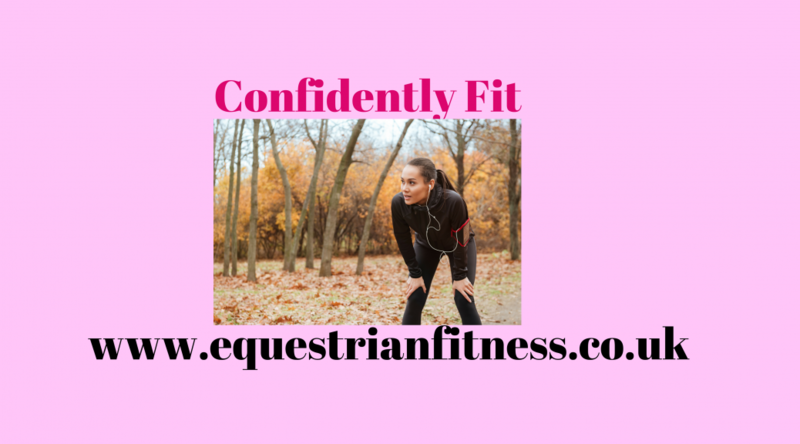 a Showjumper needs fitness for a short, fast round like a sprinter, whereas a Cross Country eventer needs fitness for more of a marathon style event. So, if you do feel that your body needs a little improvement to help you improve in the saddle I hope this has given you an idea of where to start. If you would like more specific help I offer 121 in person and on line coaching so get in touch! This week I am continuing the theme of things you can do off horse to improve your alignment and body awareness on horse without really doing any “proper” exercise. I think the easiest way to incorporate sneaky exercise in is to make it fun and easy to fit in. For this I recommend some props though. Most popular with riders is a gym ball. I know it can be a bit cumbersome but having one all blown up and ready to go at home means you can hop on for 5 mins whenever the mood strikes you. If you work from home using it as a desk chair is a super-efficient way to use it. I actually find it way more comfortable than an actual chair now, and it means I fidget constantly whilst I’m on it. You can just sit on with your feet on the floor. This in itself makes you sit up straight and use your core muscles. You can try lifting one foot at a time or if you are really strong both feet! I also like to sit astride it (as if sat on a horse in a dressage saddle) to stretch the front of my hips out-absolutely glorious when they feel tight. All of this will massively improve your body awareness and over time your alignment (when it’s good you will stay on) and your core stability. Slightly less cumbersome to have around the house is a wobble board. These can be bought fairly cheaply online and don’t take up much space. Just standing on one requires good alignment and stability. Try taking phone calls or sending texts/emails whilst stood on it, when you get really good try standing on one leg. Do squats on it during the ad breaks. Get your partner involved and throw a (soft) ball to each other stood on them. These can all sound like kind of daft suggestions when you compare it to the strength and conditioning programmes you may see event riders doing, but unless heavy weight training is something you want to do then that kind of training isn’t going to work for you. Just trust me on this one and try some of these out for yourself and watch your body awareness and core stability improve massively without you even noticing you’ve taken up an exercise programme! Isn’t it frustrating when life, the weather, missing shoes or lameness get in the way of you regularly practicing that riding issue you’ve been determined to crack. A while ago I read a book called ‘The Talent Code” by Daniel Coyle. In it he talks about how people gain the skills to perform activities such as kick a ball or play an instrument. It is all down to something called Myelin. In simple terms Myelin is the fibres that attach to our nerves to make them send the messages to the muscles to make them do what we are asking. So in order to kick a ball like a premiership footballer you would need to repeatedly kick the ball with the aim being to gain the same power and accuracy in order to build up the necessary myelin fibres to be able to do it. Now I can hear you thinking “well that’s the point, I was practicing every day and then I had to go away for work, or my horse lost a shoe….” well here comes a little life hack-Myelin doesn’t actually know if you are on your horse or not, it just knows what muscles you are trying to move where. 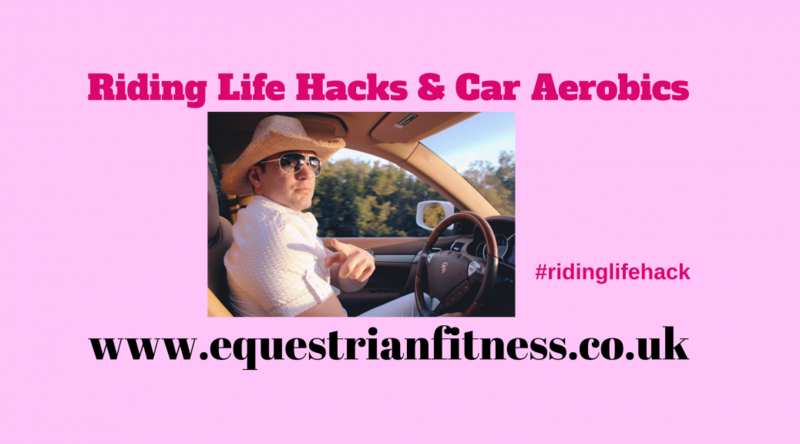 So inspired by my friend who is a regular at life hacking riding practice into driving the car and work meetings-(or she might just have worms) here are some things to think about that you can do whilst doing other every day activities. Can you feel both your seat bones equally? Is your front and back equal length? Are you equal left to right? Are your upper shoulders relaxed? Can you feel a slight retraction of your shoulder blades supporting your arms as they hold the wheel? These are all postural requirements of riding that you can train your body to do when you are not on a horse, then when you are back on board it will be second nature! Give it a go this week and see if you can feel the difference when you ride from all that extra practice! As riders symmetry is a huge deal for us. Any asymmetry in us will show up in and our (and of course vice versa). Now in reality no one is ever going to be 100% symmetrical but we should at least always be striving to be pretty darn close. In order to do that we need to address how we got our asymmetry in the first place. I often get asked by riders why certain muscles get tight, restricted or underused and the answer is simply “life”. That is our everyday actions and habits that we do over and over again usually in the same way each time. Think about what some of those actions might be. You brush your teeth with your right hand, drink your coffee with your right hand, you carry your bag on your right shoulder, and then you muck out scooping to the right……..
Then you perhaps drive your car hunched over the steering wheel, you sit at a desk hunched over the keyboard and then you push your wheel barrow hunching forward over it………………. Do you see what’s happening here? You repeat the same action with the same muscles time and time again, even though the activities themselves maybe different the way in which you use your body is not. Obviously for different people these repetitive actions will be different but they are essentially the same-repetitive actions. This can then present itself in numerous ways in your body but most commonly. · Sitting crooked or tipped to one side. There lots of other weird and wonderful ways that overuse can present itself in the body (the human continues to delight, surprise and baffle me!) but these are the most common issues I get from riders. Depending on the severity of the imbalance depends on how much treatment in terms of physical therapy, rehabilitation exercise etc. is required but a really simple way to help yourself with this is to change up the way you do things. So, let’s try over the next week or so to do things with your opposite hand! Try brushing your teeth with your non dominant hand. 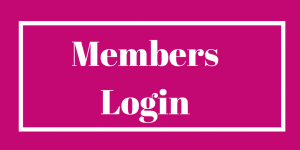 I’m going to report back on my social media about how I get on so I’d love you to do the same! 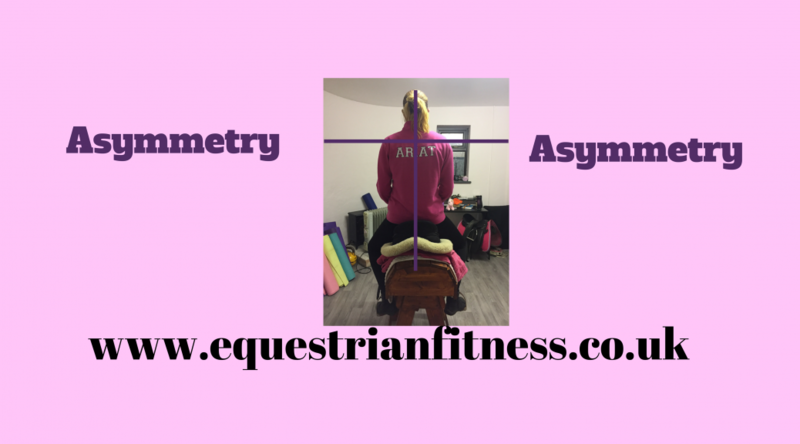 Also, if you are struggling with issues potentially caused by asymmetry why not book in for a Biomechanics, Stability and Flexibility Assessment with me at the studio and receive feedback on where your issues lie along with a programme to help you correct them. Cost £50 for approx. 1 ½ hrs.